Jeff Wayne, Monsta, Smooth, Optiv & BTK, Tantrum Desire and more. Drum & Bass would not be the same without Drumsound & Bassline Smith (aka Andy Wright, Benjamin Wiggett and Simon Bassline Smith). 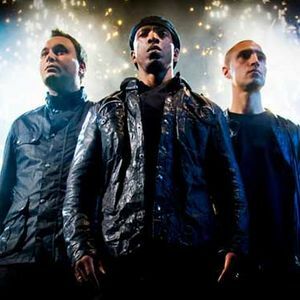 Together the trio have body-slammed dancefloors from Derby to Durban and established themselves as three of the finest Drum & Bass tastemakers on the planet, courtesy of the blue chip label Technique Recordings – an imprint that celebrated 10 years of killer dancefloor joints in 2009. In the first few months of 2012, the group entered the UK charts with Ministry Of Sound released single “What Can You Do For Me”, alongside Utah Saints. No surprise that demand has seen the guys independently tour all corners of the globe setting the standard across America, Canada, Australia, France, Italy, Germany, Russia, Iceland, Spain, Holland, Sweden, Ireland, Czech Republic, Brazil, Poland, Switzerland, Uruguay, Norway and Italy.